I love living close to the city and being so central to cafes, restaurants, shops, etc. But the one primary drawback is that space is at an absolute premium. This year I've turned my covered deck into a massive urban garden with olomovic tomatoes, seven types of basil, nasturtium, garlic chives, salad burnet, and various edible flowers. But the reality is that I've run out of space and my only option is to try to establish an outdoor garden. But the two primary challenges are my ever-investigative pug crosses and the persistent possums we get on the Lower North Shore of Sydney. 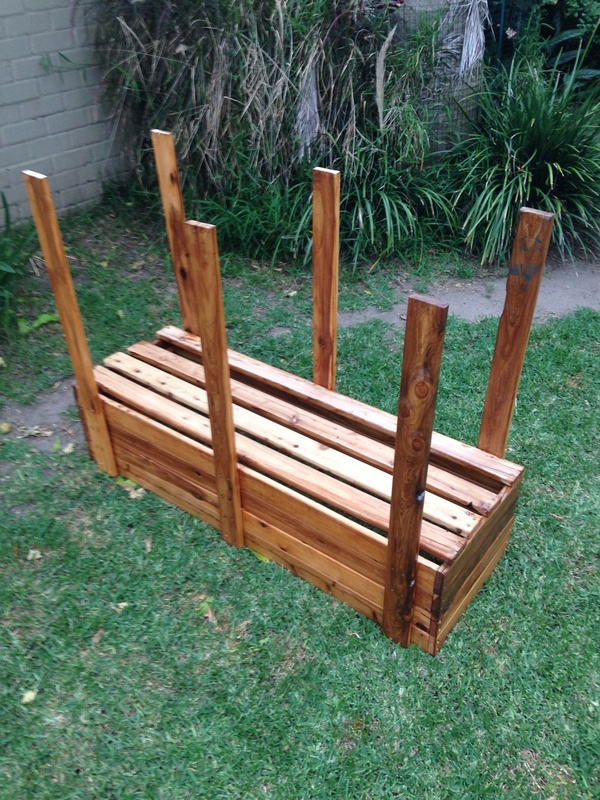 So I needed to make a set of planter boxes that are high enough to keep the vermin (and the possums) out but sturdy enough to hold the weight of very heavy soil and plants. Now, the only real carpentry experience I have is hauling lumber one summer while between high school and university and that doesn't really qualify me as an qualified tradesman. But I gave it a good go and the end result isn't too bad, I think. After sharing photos on Instagram and Twitter I was asked a couple times if I could share the plans. There aren't any plans, per se, but this is how I constructed mine. I went cheap, cheap, cheap on the lumber so if you invest a bit more into materials you'll have a better outcome - and avoid the many cracks in the pine that I had to work around. But, they're steady and they're doing the job thus far! I ended up making two different sized boxes but these are the materials for the smaller one, measuring 94cm wide by 90cm tall. You can modify the sizes for bigger or smaller boxes but just make sure to use more supporting legs the bigger it gets. The first step is to cut four of the 90cm boards into two 40cm pieces each. That will give you 8 of the 40cm pieces. Then cut the four 120cm pieces into 94cm pieces. At the end of each 40cm piece drill two holes 1cm from the edge and 2cm from the top and bottom, respectively. 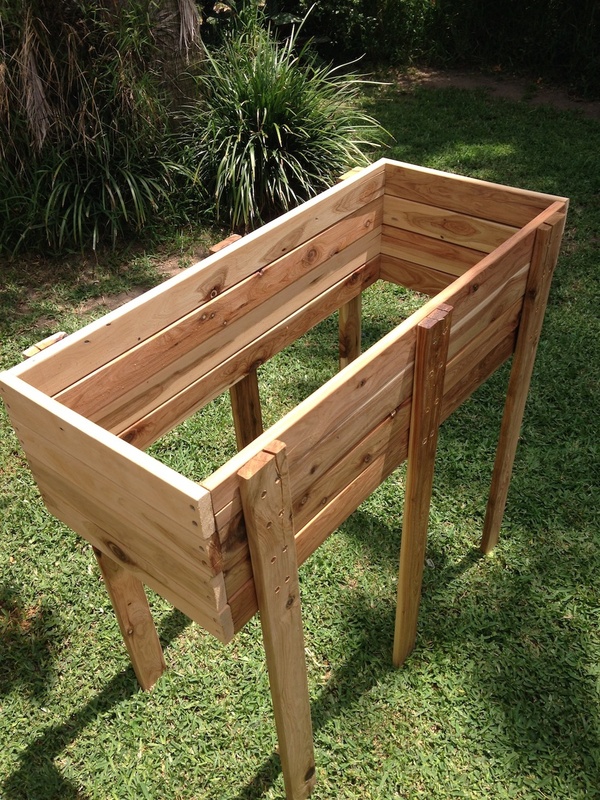 You can then begin to build your box by creating four trays that you will stack together for the box itself. Ignore the legs for now but you will eventually have four (there are three in the photo) of these. Once you have built the four stacking trays then you can begin to attach the legs. The boards I used were 6.5cm wide so I drilled two holes in the middle at 3.25cm, about 1 cm from the edge. As you'll see below you need to do this four times for each of the six legs. Then stack the trays tightly and aligned and begin to attach the legs. The four outer legs should be attached at 6cm from the tray edge. The middle legs go in, well, the middle! That's at 46cm in, lining the middle of the leg to the middle of the tray. Step three is to varnish the planter box on all surfaces before we begin to add the bottom boards and supporting legs. Once the box is dry flip it over and begin to place the four 94cm at even intervals across the bottom. 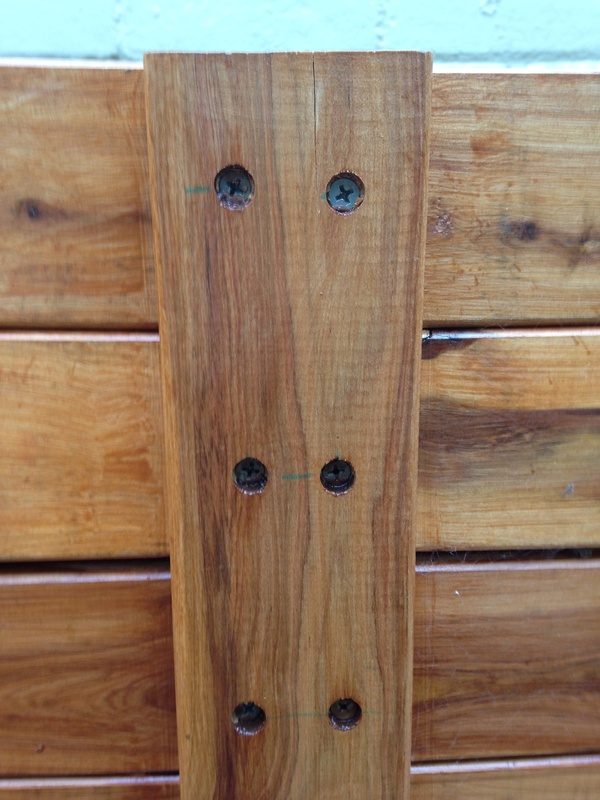 As with the other boards, drill two holes in each end at 1cm from the edge and 2cm from the top. Attach the bottom boards and then stain the bottom and sides of the boards. Next, we have to attach the supporting legs. This photo is from my bigger box so I used six but you need four for this project. For each supporting leg attach an L bracket on each side and then attach the leg to the bottom of the box at different spots to spread out the load. You'll notice that the legs are all a little unique - this is because I used cheap wood. But the whole project cost about $60 so I was fine with using cheap materials. Once you've attached all the legs make sure to stain all remaining surfaces, including the legs and the inside of the bottom of the box. Almost there! Next, line the box with some good quality weed matting. This will protect the wood and contain the soil but still let water through. I attached mine using small screws, particularly for the corners where I had to fold the material over. Once the box is in place add the soil, stopping a centimetre or two from the top of the weed matting. Water, fertilise, and plant. You can also do clever things like attaching a light trellis for those climbing plants. Watch the little guys grow with delight. These are my up-and-coming Mexican gherkins, btw! Can't wait... And let me know if you give this project a try. I'll be looking out for photos!